When it comes to baking gluten-free cookies, I tend to stick to mixes. I figure, if someone has taken the time to figure out a mix of ingredients that make gluten-free cookies taste like the real thing, just go with it. I came to this conclusion after spending the time and energy to make gluten-free cookies from scratch. They turned out flat and hard and were not a hit. I'd be willing to try again if anyone has a recipe they'd like to share (preferably one without 8 ingredients I don't have), but for now I'm going to stick with mixes from a box. 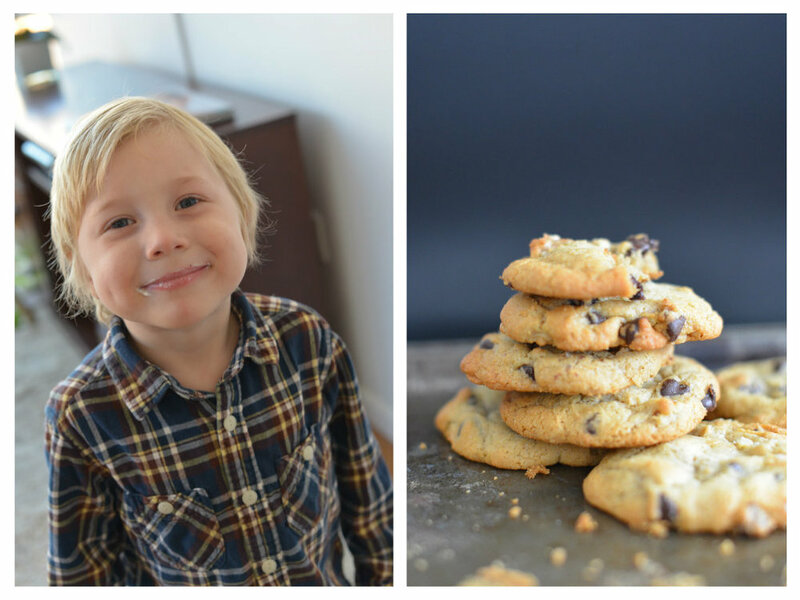 Another of my favorite cookie mixes is Purely Elizabeth's Oatmeal Cherry Chocolate Chip. I'd gladly eat these cookies daily, as a power snack between workouts or as dessert with a glass of milk. Made with chia seeds, millet, almond and fava bean flours, not only are these cookies a sweet treat, but they provide bonus nutrients. And they are vegan. You just can't go wrong! The mix is sold at Whole Foods and also online. The box would fit nicely inside a Christmas stocking. purely elizabeth's cookies are loaded with superfoods. Does anyone have a gluten-free cookie mix (or recipe) you swear by? Tell us about it!